As August is very much the summer holiday month, there is not a lot of news from the courts in Spain, but it is a month when some of the new names and old ones will be making a comeback on the scam front. We will be keeping a watch on these and will start reporting them as and when they do become active. We have been given the following press release from Canarian Legal Alliance. On 19 June 2018, a representative from Canarian Legal Alliance attended the hearing at the Royal Courts of Justice, Upper Tribunal, Tax and Chancery Division, to represent the interests of one of our clients. These clients had been sold timeshare in Malta by Azure Resorts and were financed by loan agreements with Barclay Partner Finance. It transpires that these loan agreements were brokered by an unauthorised agent Azure Services Ltd. As such these agreements breached the Financial Services and Markets Act 2000. This affected 1,444 credit agreements with a total value of £47 million, in the period between 1 April 2014 and 24 April 2016. This made the agreements unenforceable, which entitled the borrowers to recover their money and have the agreements cancelled. Therefore BPF applied to the Financial Conduct Authority in May 2017 to have a validation order issued to rectify this. The FCA on the evidence and information at the time issued the order to validate the loan agreements in February 2018. This validation would then entitle BPF to retain money paid to them under the agreements, also allowing BPF to enforce payments by any consumer who defaulted. 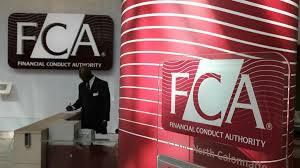 On 1 August 2018 Judge Timothy Herrington issued his judgement, in his ruling he stated the FCA should re-examine the original order and take into account “client detriment”, a factor which the FCA had not considered in the original order. In the case of our client, this “client detriment” is very clear, they were mislead into purchasing the timeshare as an investment with the promise of income rental and then resale, which never materialised. They were pressured into signing the loan agreement after hours of high pressure timeshare sales tactics, even though our client explained they could ill afford the timeshare. They were not explained the terms and conditions of the agreement or the full extent of the cost, the product they were purchasing was not suitable for their needs and would not fulfill the promises given. They were also mislead as to the length of the loan agreement, being 2 years and not 15 years which it turned out to be. There were no proper credit checks made with regards to affordability or the ability to afford the repayments, they were not asked to provide any proof of income (bearing in mind they were both in their 70’s and on pensions), or any proof of outgoings. Once the validation order is overturned by the FCA, this will leave our client able to recover all money paid to BPF and have the loan agreement declared null and void. This ruling may also have an effect on loan agreement for timeshares purchased via loans even by an authorised broker. As a law firm we have many clients who have gone through the same process, lengthy presentations, high pressure sales and no proper checks regarding the ability to afford the repayments. We believe this may give clients an avenue to have these agreements cancelled and be reimbursed the money paid. Our thanks to CLA for that information, now a quick look at an old story which was prompted by an item on ITV News, this was an interview by the wife of John “Goldfinger” Palmer who was shot and killed at his Essex home in June 2015. In the interview she expressed her disbelief at the inability of Essex Police to find her husband’s killer, which the police believe was a professional hit. She also claimed she felt “sorry” for those who lost thousands in the timeshare scam. This is after she started the interview with “It was a wonderful Lifestyle” and “We had everything we possibly could want”. On whose money is the question? The timeshare scam involved 17,000 victims and was worth over £100 million, it revolved around the multiple selling of timeshare units, resorts that had not been built or ever going to be built and ones without any planning permission. It has been regarded as the biggest timeshare fraud in history. Palmer was eventually jailed for 8 years in 2001 in the UK after being convicted for timeshare fraud. He was also ordered to repay around £33 million to his victims, but as the Crown Prosecution Service bungled the paperwork this order was overturned to the consternation of the police. He was released in 2005 and returned to Tenerife. He was eventually arrested on the runway and bundled into a military transport and taken to Madrid to await trial by the Spanish authorities, he spent 2 years in jail and was then released on bail returning to the UK. The rest as they say is history. Click on the link below to see the interview and the second link which is a report by Roger Cook made around 2 years ago on the full story of John “Goldfinger” Palmer, from his involvement in the Brinks Mat bullion robbery through to his timeshare frauds. Join us tomorrow for our Letter from America, this week Irene Parker reports on the Whistleblowers Summit which she attended in Washington DC in July, you will certainly find it a revelation. Summary of the Royal Courts of Justice Tribunal Ruling by Judge Timothy Herrington. This case was heard on 19 June 2018 and revolves around a validation order made by the Financial Conduct Authority (FCA) which validates (makes legal) loan agreements taken out by clients of Azure Resorts Malta, using Barclays Partner Finance (BPF). The loan agreements were made by Azure Service Ltd between 1 April 2014 and 24 April 2016, with this company not being authorised as a licenced broker to arrange or introduce clients to BPF. On finding out that these loan agreements were made by an unauthorised entity, BPF applied to the FCA to have the loans validated or made legal. This validation order was issued, affecting some 1,444 clients and could cost Barclays around £47 million. An appeal by the clients and their legal representatives forced the FCA to apply to the Upper Tribunal Tax and Chancery Division of the Royal Courts of Justice for a hearing on the legal implications and guidance to overturn the validation Order. On 1 August 2018 Judge Timothy Herrington issued his judgement. He ruled that the FCA did not take into account “Client Detriment” when they issued the validation order, his ruling was that the FCA re-evaluate that decision and take into account the client detriment. Concerns about commission arrangements and disclosure thereof. The FCA must now re-examine the original validation order and take into account the client detriment statements of the borrowers. With this ruling it makes it almost impossible for the FCA to uphold the original validation order, therefore it must overturn the previous decision and rule that these loan agreements cannot be validated and are thereby unenforceable in law. This means that all 1,444 clients will be entitled to be repaid all the money plus all interest paid. Once the FCA issued a cancellation of the original validation order, this will no doubt have an effect on any loan issued by a timeshare company through BPF. Although the company brokering the agreement may be authorised, the points listed above may make it possible for any loan to be contested. This will be of significant interest to all Silverpoint clients who entered into contracts under the investment weeks scheme. At present it is not known how long the FCA will take to issue their findings. Latest news surrounding Tauro Beach. The scenes witnessed a few weeks ago of the destruction of homes situated on Tauro Beach have been the subject of many news articles, the local people are understandably very angry. The destruction was carried out by a private demolition company with a not too savoury reputation, Desokupas, who were hired by the Cazorla‘s and Anfi to clear the area which they claim they own. This was done without any apparent court orders, which leaves us to believe that the destruction may just be illegal, even if the land is owned by the Cazorla’s. It does leave us to wonder how the members of the Anfi resort must feel about this, that the company they pay high annual maintenance fees can behave in such a manner? Do they actually understand what is going on? It also begs the question how the Ambassador for Anfi David Silva, the renowned footballer and local boy must feel about how the company he represents in advertising is treating his own people and neighbours? For the full story of the whole project search Tauro Beach in the search box. If you have any comments or questions regarding this or any other article, or if you need to find out about any company that has contacted you, then use our contact page and we will point you in the right direction. Welcome to our first article for July, we start this week with some news from the Courts in the UK. On Tuesday 19 June at the Royal Courts of Justice, The Upper Tribunal, Tax and Chancery Division, sat on hearing brought by the Financial Conduct Authority and Barclays Partner Finance. Presiding over the case was Judge Timothy Herrington. The case centers around a petition to the FCA by Barclays Partner Finance to issue a validation order for finance agreements made between April 2012 and April 2014 for loan agreements involving timeshare sales in Malta. It transpired that the company which brokered the finance agreements, Azure Resort Services Limited, were not authorised or licenced by Barclay Partner Finance. They approached the FCA to have these validated and claimed that no consumer detriment had been caused by this. The FCA did issue a validation order on the evidence it had from Barclay Partner Finance, they then received many complaints from many of those affected, this numbered around 1,444 clients. On investigation it was found that consumer detriment may well have been caused with the new evidence coming to light. But the FCA felt it did not have the authority to reverse the validation orders and the case went before the Tribunal to have the validation orders reversed. Canarian Legal Alliance along with other law firms representing clients had representatives in court. In the case of the CLA client, the loan agreements was for the purchase of multiple timeshare weeks. These were upgrades to original purchases in the “investment” packs being sold by Azure Resorts, which is the Malta arm of Silverpoint in Tenerife. These multiple weeks were sold with a promise that a resale program would be put into place, then after two years they would be sold and the “investors” would be able pay off the loans with the money they would make on the sales. As we know this ploy has been going on for years in Tenerife by Resort Properties / Silverpoint, which are subject to many cases going before the Tenerife Courts and the Supreme Court in Madrid. These sales have never taken place. The CLA client was given a loan of over £20,000 to finance the purchase, they were misled into believing that the weeks would be sold and the loan agreement would be only for a two year duration. In fact the agreement was for a 15 year repayment term. It is also known that the clients who were 75 at the time of signing had the loan approved within days of signing. At no time were they asked for any proof of income versus outgoings reports. These clients also signed the purchase agreements and the loan application forms after more than 5 hours of intense high pressure sales. They also felt they had no choice but to make these purchases so as not to lose out on money previously “invested” for weeks which had not been sold. The excuse they were given was what they had previously purchased were not selling as they were not the type of weeks and apartments which people wanted to buy. The Judge presiding over the case then adjourned the hearing for deliberation, a verdict is yet to be announced. If the validation order is reversed by the court, then this leave Barclays Partner Finance in a very difficult position, the upshot is if these agreements are not validated then Barclays Partner Finance cannot pursue the borrowers if they decide not to continue the payments. The lawyer for BPF assured the Court that until the judgement, BPF would not enforce the agreements for those who have defaulted. This also leaves many other questions regarding finance agreements for timeshares, how many more have been made by unauthorised licenced brokers? It also poses the question of ability to afford the repayments, especially when these agreements have been approved within days of signing, how many have been granted the loans without showing any proof of income versus outgoings reports? Now for some news from the Spanish Courts last week. The Supreme Court in Madrid issued two more rulings against the timeshare industry, number 123 and 124. These once again involved Silverpoint SL in Tenerife, they also lost in two cases in the Courts of First Instance held in Tenerife. In cases held at the Courts of First Instance in Maspalomas, Anfi were on the receiving end, with contracts being declared null and void and being ordered to repay the clients their purchase price back. Diamond were also on the receiving end of a Court of First Instance ruling, again the contract was declared illegal and therefore null and void. With these 7 cases the timeshare industry has been ordered to repay over 160,000€ and in most case legal fees and legal interest. The lawyers involved in all these cases are the lawyers from Canarian Legal Alliance. If you have any comments or questions regarding this or any other article use our contact page and get in touch. Been contacted by a company or found one on the internet and you are not sure about them, then contact Inside Timeshare and we will point you in the right direction. We start today with another warning about the “Fake Law Firm”, Abogados Lopez, more readers have contacted Inside Timeshare with information on the calls they have received from Hope Brugge, claiming to be working for Canarian Legal Alliance. According to our readers, many of whom are existing clients of CLA, the call is to inform them that their case is about to go to court and she needs to confirm some information before submitting the case. This is obviously a fishing call, as if you have a case with a legitimate law firm they would already have those detail and they would have been confirmed at the start. Within a few day Hope Brugge calls again and informs the client that the case has been won and a substantial amount of money has been awarded. In order to have this money released, (yes you guessed it), Hope Brugge and Abogados Lopez need a fee to release it. The client is given bank details for a named individual to transfer the money. 0044 1291 440 500 which is a Chepstow code. If you receive any call of this nature do not be fooled by them, if you are an existing client of any law firm, contact them directly and inform them. This is a blatant fraud, which the authorities are aware of. Another reader has also informed us that another company has been contacting owners who purchased with Azure Resorts in Malta, using a Barclay Partner Finance loan agreements. Unfortunately the reader was not able to get the name properly so we will not speculate and guess. According to the caller they are working with the FCA (Financial Conduct Authority) to bring a “class action” against Barclay Partner Finance on the 19 June, all rather urgent wouldn’t you say? There is a case on that date being brought by the FCA, but this has nothing to do with what this company are on about. 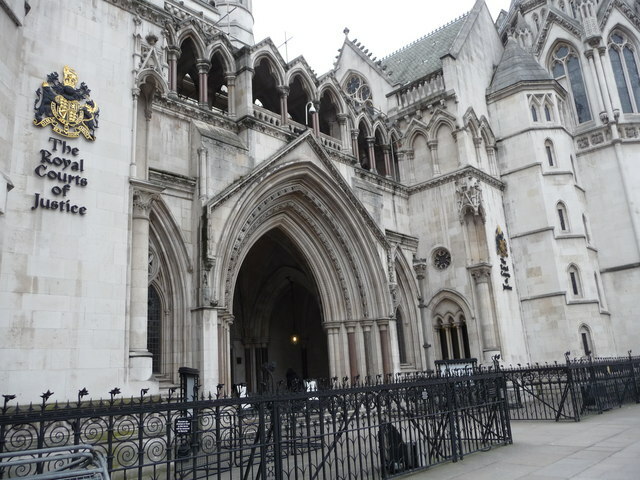 The case is being heard at the Upper Tribunal (Tax and Chancery) of the Royal Courts of Justice. The case revolves around a validation order sought by BPF for loan agreements made by Azure Resorts for timeshares in Malta, it turns out that the company brokering and arranging the loans was not authorised or licenced by BPF to do so. BPF turned to the FCA to have these agreements validated. These are only for certain clients who signed these agreements between April 214 and April 2016. If you did not receive any information about this in February 2018, then you are not involved. The FCA on the evidence made out a validation order to have the loans legally recognised, as no client had suffered the “possibility of any consumer detriment arising from the manner in which the unauthorised broker carried out its activities”. Unfortunately, the FCA was not aware of the full facts and many clients made complaints, the FCA has now sought to have this validation order overturned in the light of these complaints and new evidence put forward by the clients. Inside Timeshare will keep you updated as to the outcome of this hearing. If you have any questions or comments on any this or any other article, then use our contact page and get in touch. Have you been contacted by any company offering you a claim or stating that a case has been won and there is a substantial amount of money waiting for you at court then contact Inside Timeshare, your information can help others avoid losing thousands.